Do you the chocolate diamonds are cool? Well, the fashion-savvy editors and readers over at Engagement 101 Magazine certainly think they are! 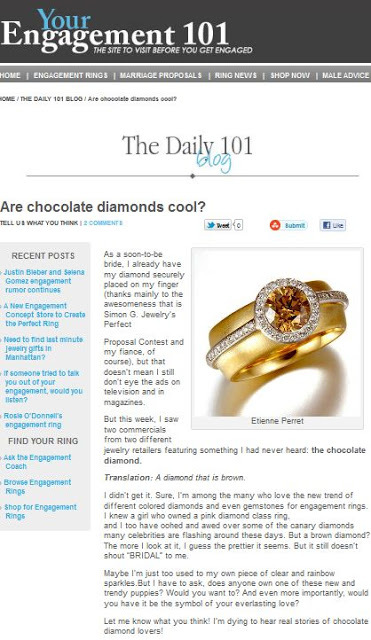 Check out the Etienne Perret cognac colored diamonds Hi-Halo Band ring they featured.